Viewers want to be in control. Watch what they want and when they want. More and more TV viewers are either binge-watching their favorite shows on subscription services like Netflix, Hulu, or are using a DVR to record shows. When they do the latter, they tend to skip through the ads. On a video site like YouTube, the viewer has to often watch an ad before getting to the content they want to see. There might be more than one ad for a longer video. The convenience of watching online TV and shows on any device anytime still win in the end. When you run a traditional TV advertising campaign, you are basically showing your message to a very broad audience and not sure how much it sticks. 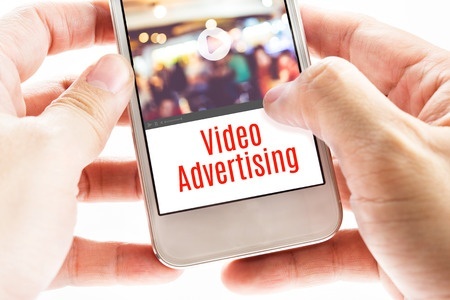 If you create an online video that is being shown on selected social media sites with advanced ad targeting criteria like keyword targeting, you can be sure that the people who view them are those who are genuinely interested in what you have to offer. The average TV ad lasts about 30 seconds, which is often not long enough to get your point across. This is why some advertisers now leave the ad open-ended, directing viewers to visit a website for more information or for a longer version. This is a truly effective way to advertise and engage potential buyers. Ask the average person what they want from an ad, and most will tell you that they want to learn something rather than listen to a hard sell. With that extra time, you can create how to, instructional videos that serve as advertising as much as informing the viewer. Modern televisions now have "smart" capabilities that allow viewers to use apps like YouTube on the TV. They can browse and choose the videos they want to watch along with the video ads. This is where instructional videos that show how to use your products can really be great for your business. Consumers can watch when they have the time, and will actually absorb what they are seeing, as opposed to shutting it out like they do with traditional TV spots.